Generally, a loan pre-qualification request is a request by a prospective loan applicant for a preliminary determination on whether or not the applicant would qualify for credit under the creditor's standards. Please complete the form below to start the pre-qualification process! There is NO cost, obligation, or commitment if you submit this form! 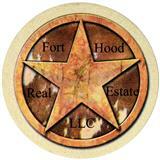 This is a FREE service to determine how much you can borrow towards the purchase of a home. Enter N/A for boxes that do not apply. By submitting this form, you consent to a credit check and authorize a loan officer to contact you. If you would prefer to have a loan officer call you instead of preparing the form below, email Barbara@forthoodhouses.com.